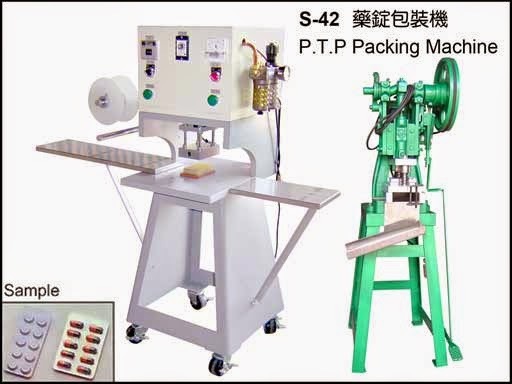 This machine is design for packing the tablet and capsule which packing by blister with aluminum foil. The standard of the quotation on this machine which including one set of sealing machine, one set cutting machine, one piece of sealing mould and one set of cutting mould for making this production. This item cause for sealing the aluminum foil with blister, it should be very accurate sealing in perfect condition. If not perfect in sealing, it may be leaking air into the sealing area, which will cause the packing article to damage. Because of this machine is manual type. The user needs to buy the blister or make the blister by a separate machine. 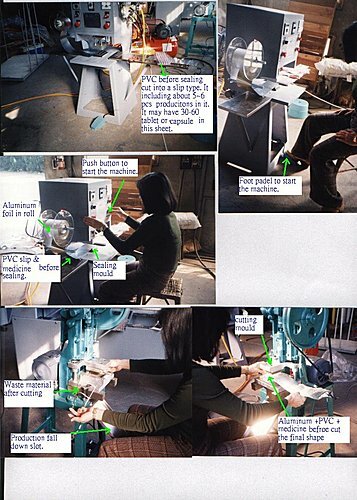 This machine is only action for sealing and cutting. The medicines also have to be loaded into the blister manually. This machine load the blister into the sealing mould and cutting mould manually. Roll material or precutting sheet.